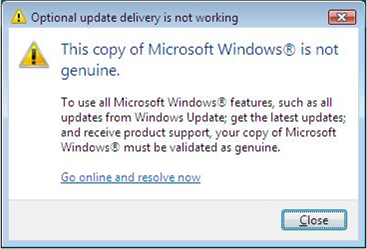 Each computer that runs the Windows 7 operating system must undergo Windows Product Activation. Windows Product Activation is an ongoing process during which Computer's (or Virtual Machine's) Hardware ID and the Product ID (the 25 digit activation key) are sent to Microsoft activation servers. A single Product ID cannot be tied to more than one Hardware ID. If the activation check finds that the Product ID has not been activated and tied to a Hardware ID, both IDs are recorded and the installation is activated. If the activation check finds that the Product ID is tied to a different hardware ID, the activation fails. Contact Microsoft to resolve activation issue.